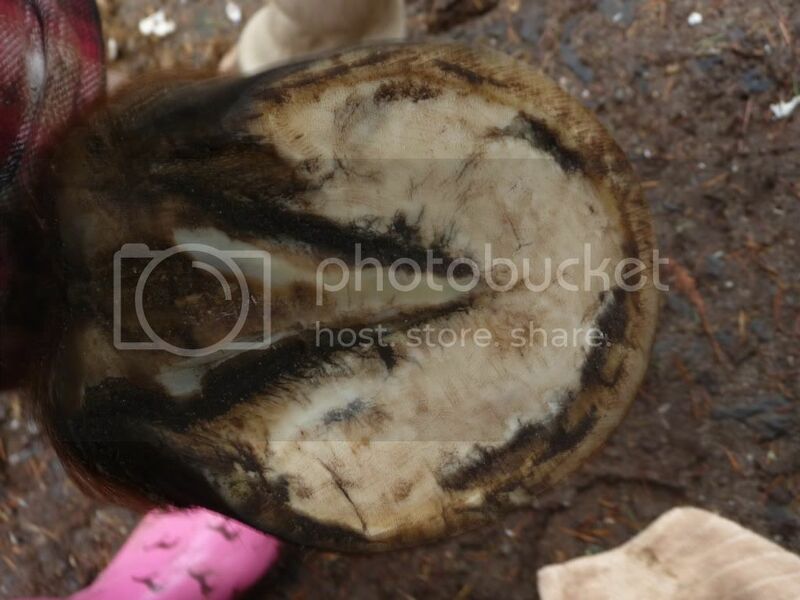 Home » Animal Welfare » Hoof and Paw » Annie and Doc feet pics. Annie and Doc feet pics. Re: Annie and Doc feet pics. From every view but the sole view I actually like Annie's better and think they're fantastic!! 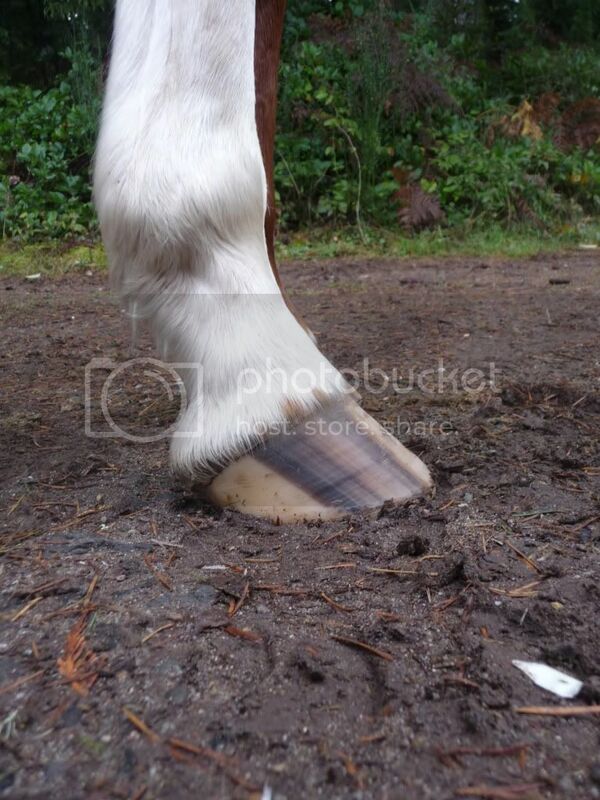 However, when I get to the sole view I immediately see a heel that's too long and too far forward for my liking. Doc's look a little flared and a bit long from the top views. From the sole view the heel appears to be in a good place but I think it may be an illusion. Something about the sole view (and coupled with the other views too) makes me feel he's a but run forward. 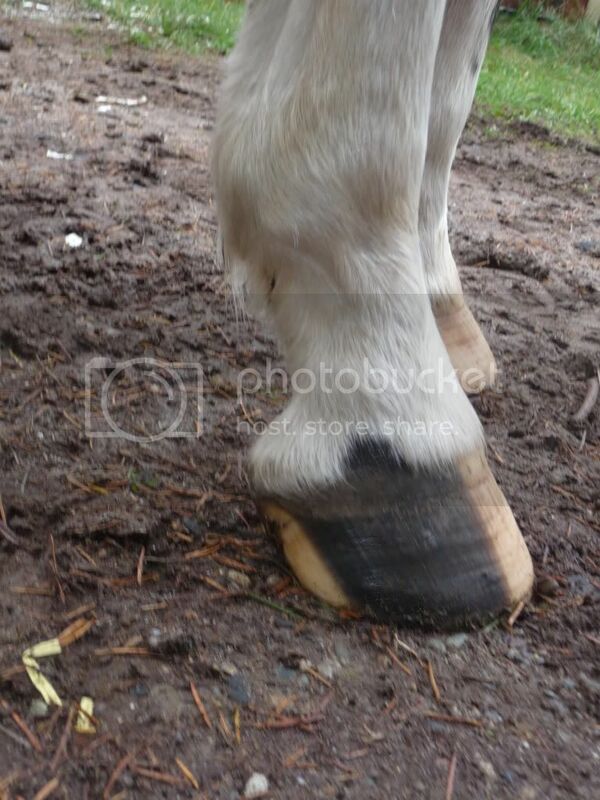 I feel like both his toe and heel could come back some more (primarily his toe). I might be totally wrong though... let's see what Morgan says. Ahhhh, nothing like another set of eyes, maybe the reason I was think Annie needs more heel is because they are a bit to far forward. If her heels are where I think they are (hard to tell from one dark shot) they look like they might be at least .5" and maybe a full 1" in front of where I like to see them. Doc's are nearly all the way back as far as they'll go... Annie's are a long way from that. Do you have any concrete around you can walk them on? 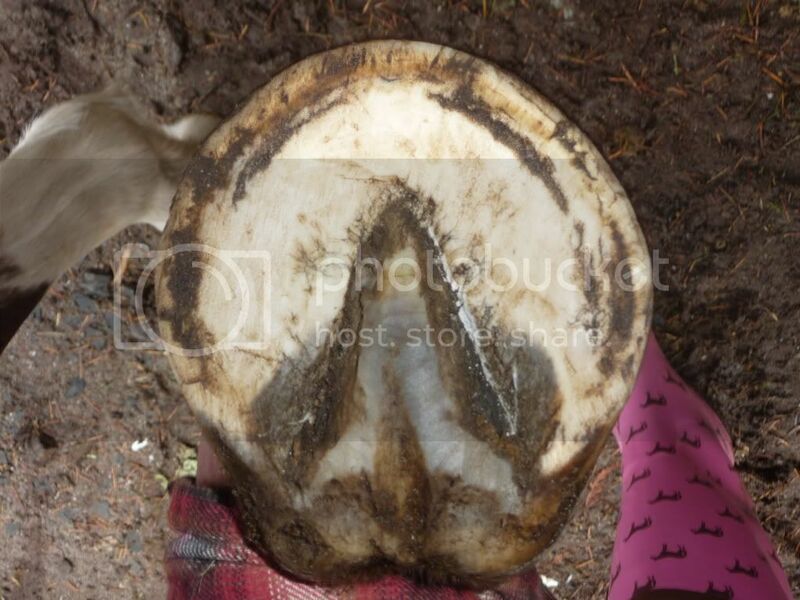 I find I can locate the heel easiest when I walk them on concrete and then see where the chalkiness and wear is on the hoof wall. I like the heel to be all the way back at the farthest part of the frog and Doc's are pretty darned close. I think if you get Annie's heels back you may find she has a better foot than Doc (though only marginally so as they both have nice feet). She must be busy, she did comment on my ermine distal thread but then she was gone again, maybe she didn't see this one. This sub forum requires scrolling down so she may have forgotten to do that. They both look fairly good to me. Annie's slightly better (tighter, rounder, smoother all around). The method of rounding the wall could use a bit of work but that's serious nitpicking, otherwise the trim is good. 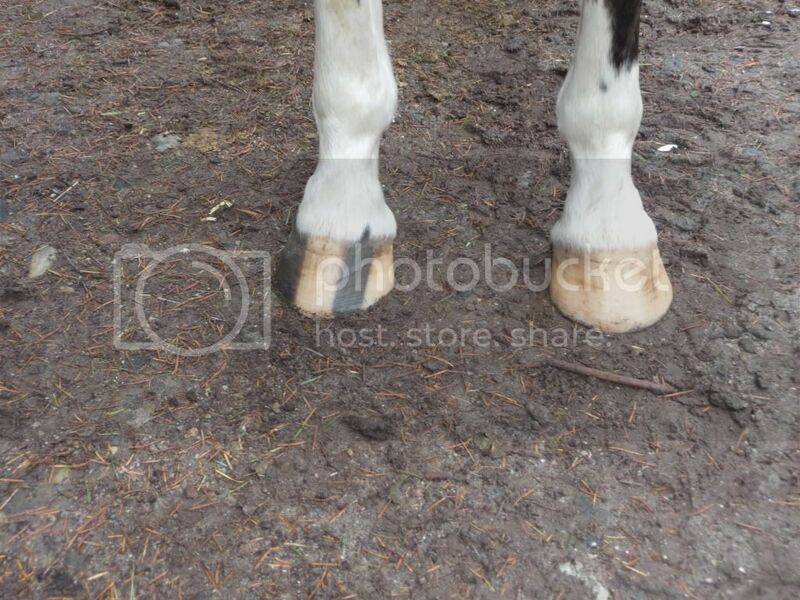 On Doc, with that tendancy to flare I'd just make sure he is trimmed often (4-5 weeks), diet of basics (grass hays, plain oats, mineral) without commercial pellets or mixes, I don't really know why but they seem to cause that kind of foot on a few horses, possibly an allergy. I haven't taken the time to pin down which feeds are ok since the hay and oats works. Wouldn't hurt Annie any either since she also has rings, though that could also be mental or something else. 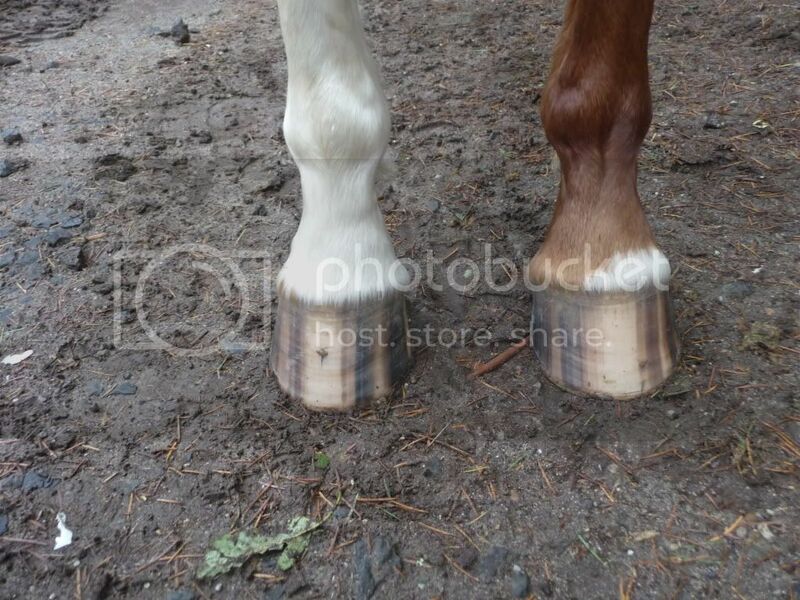 I wouldn't do any more with Annie's heels, they're as far as they'll go safely on a trim, anyway she has steep pasterns and a good straight toe wall and lowering them when she's not ready wouldn't be good. Harder ground would help them come back with natural wear, but can't force it with the trim. 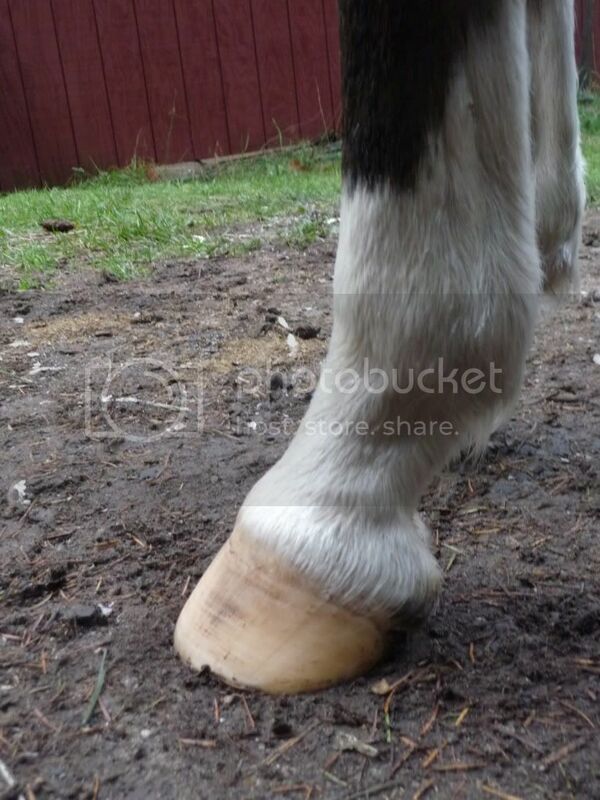 The toe and heel must shorten together to avoid lowering the angle. Both my horses are on Dynamite vitamin and mineral supliment, so other than that they just get a quality grass hay and a little bit of dry cob.